For the next few days the WarriorsWorld team will be in Las Vegas covering anything and everything NBA Summer League. Things indeed be changing amongst the Golden as there is a much different vibe to this year’s team. The Warriors aren’t looking to develop a franchise altering star — though they wouldn’t mind it — or praying for a glimmer of hope for a successful season. Their starting lineup is set, their roster is almost officially complete and coaches — as well as fans — are all ready to get the season underway. Keep in mind, it’s mid-July. Last season the Warriors harbored two first — one of which was a Top-10 pick and carried the potential of the aforementioned franchise changer — and one early second round pick. Last July, management and fans alike expected much from Harrison Barnes, the former #1 high school player in the country and near household name. Festus Ezeli had everyone Google-ing his stats and YouTube highlights just seconds after his selection. Draymond Green, the gritty, positionless misfit was known only to college basketball diehards and Michigan State alum. A particular, smart group of rookies from the new regime. But, until they got on the floor and proved themselves were still were your run of the mill Warriors rookies. In other words, prepare for the worst and hope for the best. Fair? Not at all, but when looking back at previous Warriors selections it was only natural to do so. However, Joe Lacob and Co. have forced us to change this thinking, and rather quickly too. We can now assume every selection was carefully analyzed, researched and deliberated on before they sport the blue and gold. This season, the Warriors made three separate deals to acquire Nemanja Nedovic, a Serbian combo guard who is best known for his athleticism and ball handling skills. The “European D-Rose” was expected to be on the Warriors Summer League team until a right ankle injury earlier this week sidelined him for the remainder of the summer. Many — especially those who will be in attendance — were excited to see this relative unknown play against some of the brightest young talent in the league. 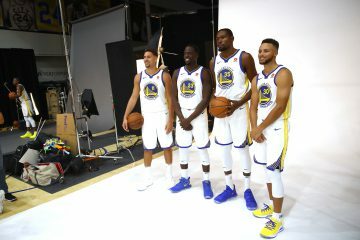 Despite the Nedovic injury, the Warriors will be fielding an intriguing squad filled with a blend of players ready to contribute to the regular season roster as well as pieces to potentially round out future rosters. Lest we forget, the Warriors always manage to provide Summer League fireworks. 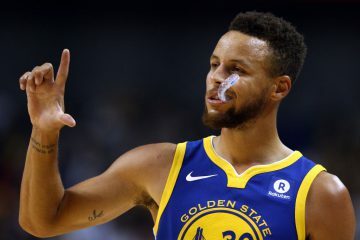 Whether it’s Marco Belinelli shooting a combined 14-for-20 in his first taste of NBA action, Anthony Morrow scoring a record 47 points or being only the 10th team in history to go undefeated, “Warriors” and “Summer League” are a match made in basketball heaven. While the loss of Brandon Rush was supplanted by the acquisitions of Andre Iguodala and Tony Douglas, the Warriors still need someone who can supply some scoring and provide additional perimeter defense off the bench. Until the not-yet-official-but-sort-of-official Douglas signing, the Warriors had Iguodala poised to backup Stephen Curry as first point guard, an idea that some were comfortable with, but had many clamoring for one more pur(er) guard to handle the ball. While Douglas provides above average defense and can get hot from outside at times, he won’t be looked at to consistently score or lead the team if others are having off nights a la Jarrett Jack. While Douglas has the most PG experience off the bench, it’s still unclear who will get most of the backup minutes. Mark Jackson could — and probably will — go positionless a lot of the time, but the prospects of Bazemore playing PG still intrigue many. He didn’t look comfortable making plays for others last season and lacked some court vision you would hope any backup PG has. These struggles weren’t unexpected though as Bazemore was learning a new position — the most difficult position in basketball — in addition to learning the ins and outs of the association. Bazemore showed signs of real development late in the season as his jumper looked smoother despite his unimpressive 37% shooting last season. 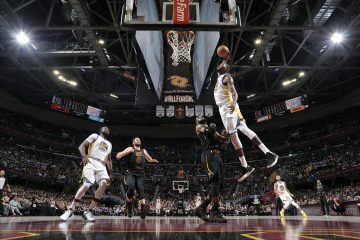 His athleticism will pay dividends in regards to cuts and slashing towards the basket, but how many opportunities he will this season is still a mystery. 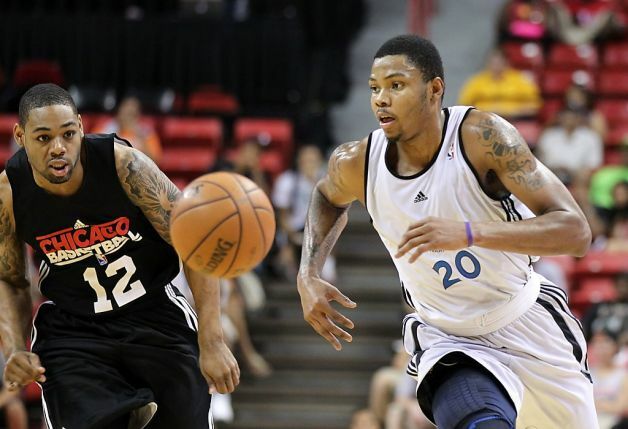 Defensively, Bazemore is quick and has the lateral movement to become a real defensive pest. Has Bazemore’s jumper improved? Does he have the court vision to run a successful offense? Does his defense warrant more playing time? Does Bazemoring make its way to Las Vegas? He’s the most interesting player on this Summer League team, and his development can prove very important come the regular season. He has the potential to become the first guard off the bench for a playoff team, time will tell if his improvements this off-season give him those opportunities to shine. Green was one of three Warriors rookies to impress last season, but the playoffs is where Green really shined with his inspired defense and rebounding in the absence of David Lee. While many gasped whenever Green shot a three, the former Michigan State Spartan shot a somewhat respectable 39% from beyond the arc in the playoffs — compared to a putrid 20% during the regular season. Green’s defense and intensity will be there, but has his shooting improved? Most of Green’s threes came from wide open looks; defenses simply didn’t need to take him into account on that side of the floor from outside the paint. The Warriors are still looking for a stretch-4 of sorts and Green is the closest player they have to that. If Green shows signs of developing not only his three-point shot but his ability to create , he could become a huge dual threat coming off the bench. Not much is known about the second year guard from Iona. He plays point guard, jumped around the D-League last season and isn’t related to Manny Machado of the Baltimore Orioles. But, Summer League is where unknowns make a name for themselves in hopes of making the final roster. Machado hopes to do just that as he will play a lot of point guard once these games get under way. While Bazemore is adapting to becoming a point guard, Machado is comfortable at the position and fits the mold of a natural point guard. Machado worked out for 22 teams before last year’s draft before going unsigned and eventually ending up in the D-League. 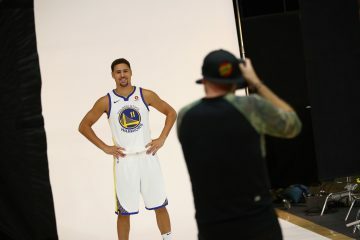 He turned down an invitation from the Brazil national team to play for Summer League, and the Warriors have high hopes for the second year guard. Playing a position of need, Machado can become a future mainstay on the roster by showing signs of development and maturity. Tony Douglas is only signed to a one-year deal, giving way towards a potential roster spot come next season. He’ll be splitting point guard duties with Bazemore, but don’t be surprised to see Machado dazzle this July.